Ginger High- Books R Us: ABOUT US. Growing up my mom encouraged me to read as much as I could and boy did that pay off in school. When I am busy with schoolwork my mom runs the blog and keeps the posts active. 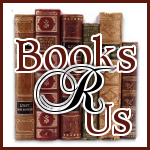 We hope you enjoy Books R Us. I'm so glad to see a young lady so dedicated to reading and writing! Sure beats video games and will have life-long benefits. Kudos! Melissa,so nice to hear about a nice young person. Keep on doing well in college and blogging. Nice work ! Ive been following your blog for some time. My GF is a huge bookworm so I am able to give her some recommendations by coming here. That is great, that you, and your mom can harmonize so well. Wow, that is great. I have an interest in ASL, as well - I had an ex who was deaf, though sadly I've forgotten nearly everything I knew (just like my high school French). Use it or lose, right? Anyway - why don;t you make some videos of you signing songs and put them on YouTube? I love when songs are signed, they convey so much more!!!! Melissa, I wish you much success in everything you do and one day I'll be reading your books. Awww. I think it is so awesome that you and your mom blog together. It is also really neat that you study sign language and published a book. I'm sure you have already learned so much. It's nice that you and your mom are so close. I'm sure she proud of you for finishing school. What do you plan on doing after school? Good luck with your next book. YES!! Having a great relationship with our moms is such and important thing! I lost mine, and would encourage EVERYONE that still has their mothers with them.....tell them EVERY day............I LOVE YOU MOM!!! Thank you & your Mom so much for all the interesting contests etc. Good Luck in school!